Tour some of the most famous South Australian wine regions with Barossa Valley Wine Tours. 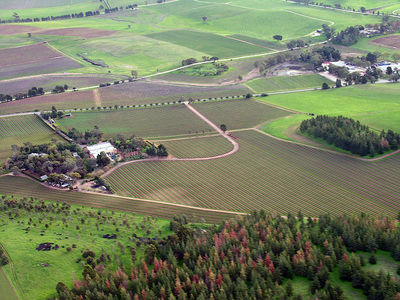 Explore not only the Barossa but also the Clare Valley, McLaren Vale and the Adelaide Hills. The tours are generally about 7 and a 1/2 hours in duration,and you can depart direct from the Barossa Valley, be collected from your private residence, hotel accommodation or the airport. The cost is from $285 per person (minimum of 2 people) departing from the Barossa or $345.00 from another location. There are several different tours to choose from but my favourite would have to be the Barossa Epicurean Experience. This includes Peter Lehmann Wines, Angas Park fruits, Maggie Beer's Farmshop, Penfolds and Kaesler Wines and restaurant. Another favourite is the Wine, Cheese and Chocolate tour. So many of us live in this lovely city, but we don't often get the chance to really explore. Treat yourself with one of these fabulous tours this weekend by calling 08 8564 2191.